Every great rock star deserves a farewell tour; a final opportunity to take it to the people and figuratively hug it out with the fans. One last chance to shred the ax and cast gaze over thousands of hands raised in silent, flame-wielding tribute before dragging their coke- and STD-riddled carcass back to the crib in Antigua. And, so, with my requisite proclivity for naïveté, I choose to believe that IndyCar’s resident rock star will soon get the same chance to properly bid adieu. 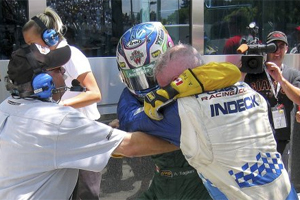 When it comes to Indycar drivers, Paul Tracy is the last of a generation. 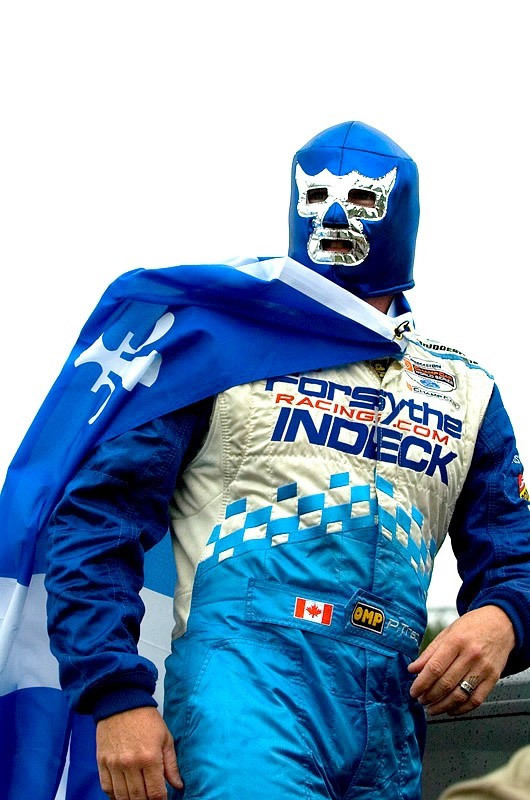 A legend, not just for his 31 wins and ChampCar championship, but for his cool, Chrome Horn-wielding character. PT has nobly competed against anyone who is anyone in American open-wheel racing, over the past 20 years, and when he’s gone, so dies an irreplaceable link to IndyCar’s heritage. A mega-deity, like Paul, doesn’t just do a few races a year and quietly fade away—he unleashes a season-long A-bomb full of AWESOME on the entire open-wheel community. The result? A face-melting mushroom cloud of splintered carbon fiber, shattered egos, and awestruck fans. So, on behalf of those that worship at the alter of “The Thrill from West Hill,” I ask you, prospective partners, what’s not to love?